I am back to Cooking from Cookbook challenge after a month’s gap. Though I had recipes to share, didn’t realize how the days flew. We were cooking from the books, Amma was sharing the recipes she saw on the TV. I had made some of them myself right away. So today’s recipe is a fancy, yet very healthy dish that can be served for Breakfast or Dinner. It works out best for either meal. I made it for dinner and it was very convenient as I had the batter ground and stocked in the fridge. 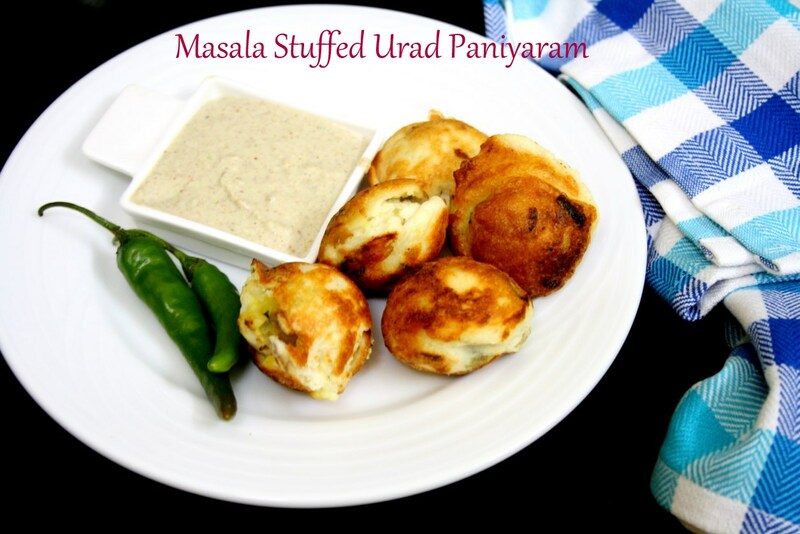 Urad dal being very healthy, is cooked in paniyaram pan with minimal oil. Stuffing and getting it transferred to the pan is quite tricky. However once you get the hang of it, its easy to get it done. Wash and soak the urad dal for 2 hrs. Grind to a soft batter using very little water. 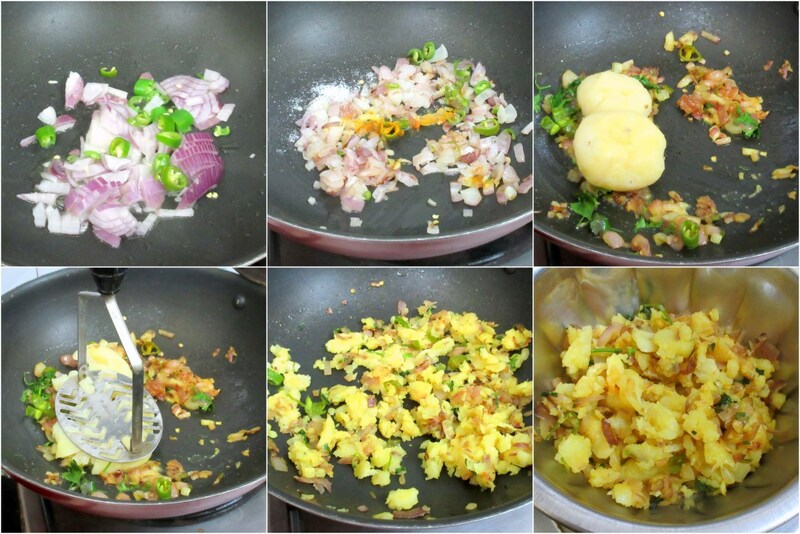 Heat a non stick pan with oil, saute finely chopped onions and green chilies till browned. Then add the spice powders and the mashed potatoes and mix well. Cook in simmer for 5 mins. Allow to cool and make small balls. 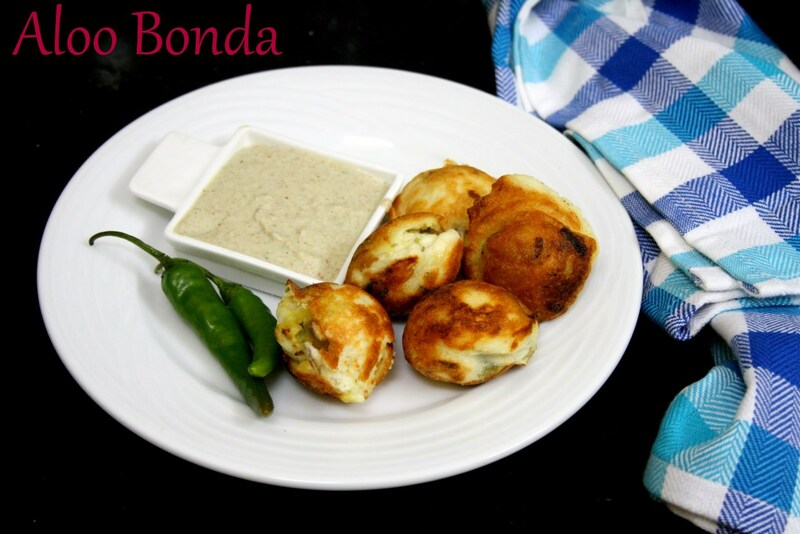 Grease the paniyaram pan with oil, dip the balls in the urad dal batter. Place the coated balls in the appay pan and sprinkle oil over it. Cover with lid and cook in sim till done. Flip over the other side and cook again. This goes for the January Week 1, Cooking from Cookbook Challenge Group. This looks totally yumm! Anytime snack ???? 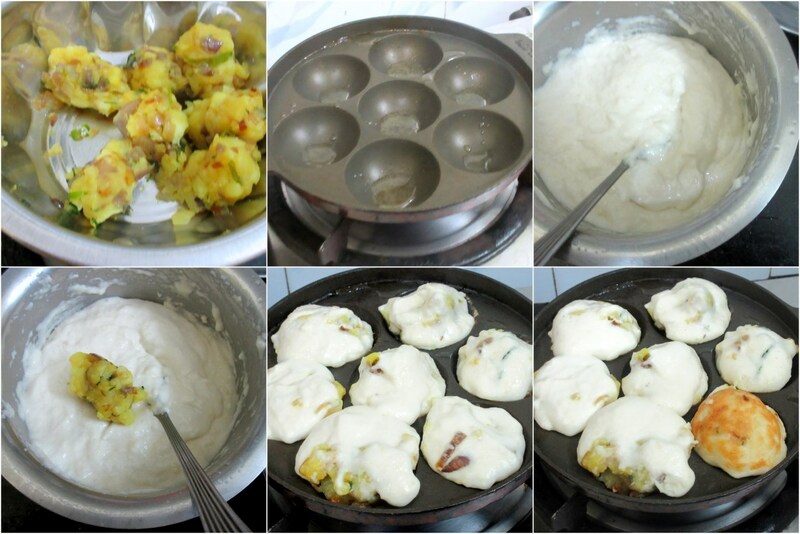 Wow .Look so yum.How I wish to make paniyaram but I do not have the pan. 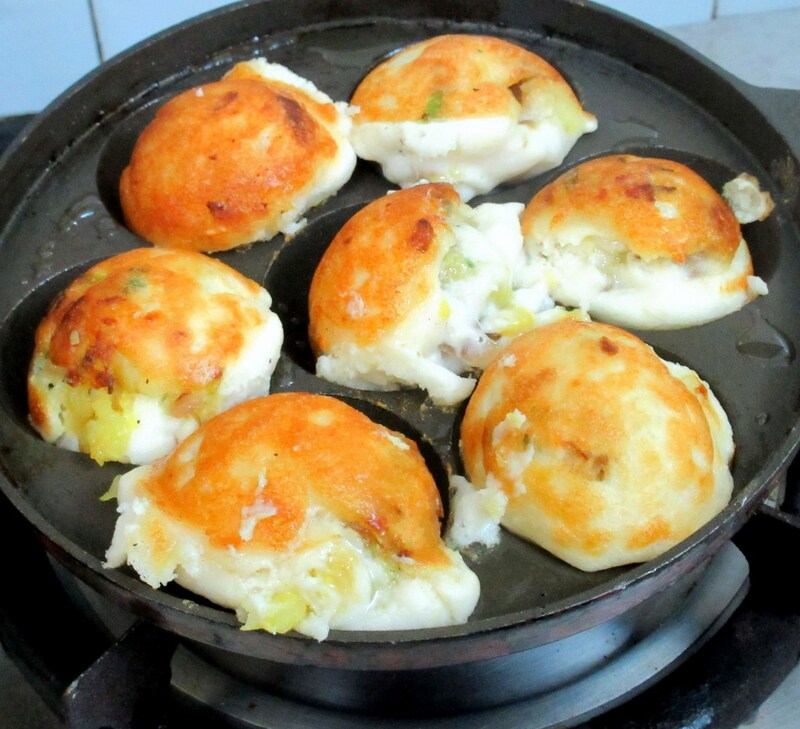 Wow, these stuffed paniyarams sound so delicious. Will have to try them some time.